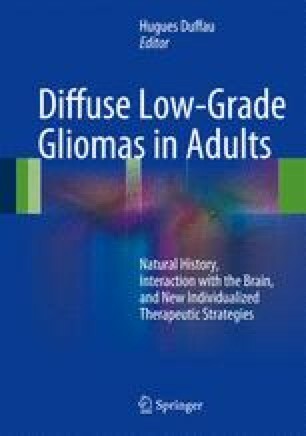 Diffuse low-grade glioma is defined by a common morphotype on histological analysis. However, these tumors exhibit a wide heterogeneity in their degree of biological aggressivity, resulting in a large range of survival times. Several factors at diagnosis have been found to identify different subgroups of prognosis, but there is growing evidence that the intrinsic dynamics of the tumor – that can be evaluated over a short initial follow-up – plays a major role in predicting overall prognosis at an individual scale. We will review our current knowledge of DLGG dynamics on molecular, histological, radiological, and clinical scales. In particular, we emphasize the importance of estimating the initial radiological dynamics from two successive morphological MRI. Finally, we describe how the spontaneous dynamics can be modified by the different treatment modalities, including surgery, chemotherapy, and radiotherapy.